We might be the TEFL course with the best reviews, but don’t take our word for it! Leave this website and do some googling of your own. In the meantime here’s what some of our graduates say about the TEFL Toulouse course, and about life and work after the course. You can also check out TEFL Toulouse’s reviews on Google. Your training was, and is, extremely useful. I am now in China… and teaching little kids their first words in English. I feel like I’m still learning and I guess that’s what teaching really is!!! Getting into the depths of things, getting to know the other, dicovering and sharing feelings. If you saw my writing on the board, you wouldn’t recognize me. Tell your future trainees that the world is spinning on a beautiful axe and that borders are but man-made lines for us teachers to cross! Shortly after graduating from TEFL, I hit the ground running in pursuit of a teaching job in France. TEFL Toulouse was wonderful about providing genuine and tested guidance for finding jobs post-graduation. It wasn’t long after completing the course, perhaps a week or two, when I found myself with two private TESOL students and an interview at a local language school. The accreditation that comes with the TEFL certificate carries a lot of weight and I was so pleased to see employers take it seriously. I always knew I would like to teach English as a foreign language, but I never could have predicted how much I would LOVE it. TEFL provided me with that revelation via an intensive, yet incredibly rewarding, experience. I highly recommend this course and Toulouse! I taught English in Korea for a while, then since returning I’ve been teaching students at UCLA where I had students from Brazil, Taiwan, Turkey, Russia, Japan, and France – all in the same class! One of my Brazilian students enjoyed my class so much, that she gave me a Mickey Mouse #1 teacher trinket after we all went to Disneyland. And because LA is a major tourist destination, I’ve been a tour guide/teacher/chaperone for Chinese and Japanese students who were here on their winter/spring vacations. In fact, I’m teaching/chaperoning a Japanese high school group from Kyushu next week. I also have a lot of TESOL work lined up this summer with the same organizations as well. My TEFL certification has certainly led me to places beyond the classroom! I have fond memories of my 4 weeks at TEFL – I learnt a ton! I work for Wall Street English in Bayonne now – hard work but that’s life. I like the job, it is a management position more than anything else.I book lessons, and I also do some teaching.I learnt a lot of TEFL stuff with you guys! I’ve been teaching English in Tokyo for 2 years now, and still have fond memories of the Toulouse course. After 8 years working and travelling as a Tour Guide, I decided that teaching English would be a good way to make money to finally have a little place to put my backpack away! Did the TEFL course and was very impressed with the quality of the content and with the trainers. Have been working for a couple of months in Toulouse now, there is definitely work around here and the course really helped me prepare for it! I’m from the US and I’ve gone for the “student working visa” option with the TEFL Toulouse! I learned so much on the course about teaching and the English language. Jonathan is an excellent teacher and the course is both fun and disciplining. I highly recommend it! The TEFL course gave me enormous confidence in expressing myself. It was intense and demanding but everyone is incredibly nice and supportive. Really worth it in the end! An intense but really enjoyable experience. I feel well armed to seek English teaching work in my area of France and feel very positive about my chances of success with all the support and teaching from the team. The 6 hours teaching experience is invaluable, and you get to take chances in a very supportive atmosphere. An absolutely unforgettable experience! All the trainers are so encouraging and make learning such fun. I definitely feel like I have learnt a new skill. I have been teaching for 10 years and still learnt a lot at TEFL. The experience is invaluable and the team is fantastic. Thank you so much for your help and encouragement! The TEFL month is a real rollercoaster of emotions (stress, euphoria, fear, pride, relief, satisfaction!) – a great team of helpers and a super way of making new friends! The TEFL course was great! I feel like I have finally found something that feels right for me. I only wish I had done it at 20! A fantastically well organised course that made grammar almost fun – well as fun as it could possibly be! Great course! I leant a lot and theTEFL staff were all really friendly and encouraging. I am 56 and was the oldest in the group. My confidence was low after being out of the workplace for 9 years. I didn’t have a degree , so I was feeling pretty nervous. I shouldn’t have been. From day 1 I loved every second of the TEFL course. It was the hardest, most exhausting thing I have ever done but thanks to Jonathan and his wonderful team I have to say that it is probably the best thing I have ever done. I have rediscovered my confidence and have discovered that I have a real passion for teaching. So Jonathan, Andy, James, Katerina, Julia, Leah and Judith – THANK YOU!!!!! I am from the US and taught in France for a long time with the TAPIF program http://highereducation.frencheducation.org/teach-in-france before doing TEFL Toulouse. I wish I had done a TEFL first though, so that I would have known how to teach and manage classes! I highly recommend both programs but do TEFL TOULOUSE first – it is fantastic and you learn so much. Become part of the TEFL family! I really feel ready to teach anywhere now! Great TESOL course! Worked very hard, learnt a lot, met lovely people, (peers and volunteer students who we taught) and made some GREAT FRIENDS along the way! I’m not so homesick now! Thank you TEFL TOULOUSE! The TEFL course was a great experience. I didn’t know so much could be learned in a month. Would recommend it to anyone! Tough TESOL course – but incredibly well supported in a professional and relaxed atmosphere! I enjoyed every single moment of it. It was hard but at the end I couldn’t have hoped for a better course. 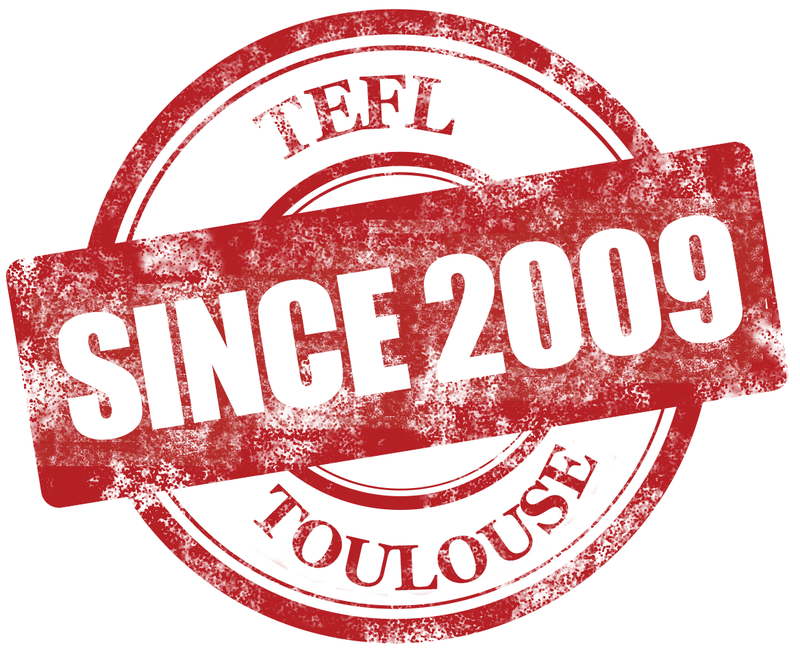 TEFL TOULOUSE is the place to be if you want to become a TEFL Teacher! Did I enjoy the TESOL course? What would I say for a testimonial? I would just say a big YES!! I thought the TESOL course was excellent. Fast paced, thorough and entertaining. All of the trainers had great experience and were really helpful so I learnt much more in a month than I thought I would. Really good! It’s such a rewarding experience!! A skill for life!! I attended the TEFL course in December 2014. It delivers everything it promises. I had no experience of teaching English and yet within 4 weeks I feel very comfortable taking on any English teaching job. The course is a credit to those who run it. I know i will never look back. Many thanks!! Jonathan has created a course which is 100% focussed on enabling people to teach English. 4 weeks of intensive studying, but helped all the way by a great team of staff. I learned so much on the TEFL course and was given the resources to progress in the future. A lot of what I learned could not have been done online. Worth every penny / euro! An incredible experience – I feel as if I have had an upgrade as a human being! Buy the ticket…. take the ride! Thank you for an amazing four weeks! The training and support have been absolutely amazing. I now have all the tools I need to go and teach English. A great TEFL course which pushes you out of your comfort zone to where the real learning happens. What a fantastic four weeks; the most stimulating and rewarding experience of my life. I not only understand English grammar , but I find it fascinating, and I can’t wait to get out there, and teach. Thank you Jonathon for your enthusiasm and your love of teaching. Throughout the course your excellent team supported us, and teased the best from us. I would recommend TEFL Toulouse to all those who want to teach English. TEFL Toulouse is a really great intensive course that supplies you with the skills you need to teach English. The course also attracts really interesting stimulating people! Hello again! I have started teaching at two Toulouse language schools! As soon as they realised I had qualified at TEFL TOULOUSE, they interviewed me on the spot, even though I had only popped in to drop off my CV! Your reputation proceeds you Jonathan! This was just the best personal , professional and social experience I have had for many years. Wow! TEFL Toulouse! What an experience – the course and the city! And I ended up teaching English in the aerospace industry in Toulouse! This course was a real success for me! It has helped me gain confidence. All the trainers were very helpful and very encouraging and I actually realised that I liked teaching! This course was absolutely invaluable for me as an English teacher. I’d taught a bit before taking the course but having the opportunity to teach to many levels and students of different backgrounds really helped my confidence. Also the tutorials on grammar and teaching technique were fantastic. I finally feel ready to teach in any situation! The course was a total success! It was challenging and fast paced, but there was ample support and encouragement from all the staff. I would definitely recommend this centre to anyone considering doing a TEFL qualification. The course has made me consider teaching English as a career – my native language has never been as interesting or unusual! What an incredible course! An enjoyable and worthwhile learning experience. Well worth the money and the time. I would highly recommend it to anyone seriously considering TEFL as a profession. Challenging, stimulating, intense and great great fun! Jonathan and his team provide an outstanding TESOL course which covers all aspects of English teaching. ALthough it can be tiring at times, they do all they can to make it light with great activities and lots of humour. I really enjoyed this TEFL certification course. It is very intensive and requires you to focus, work hard and face your nerves about teaching early on; but the trainers are very helpful and supportive. The teaching practice was essential. I know that I would not feel as qualified or confident to teach English for a living if I had not completed the 6 hours of teaching that are part of this course. Prepare to work hard on your lesson plans. But also prepare to have fun and laugh because Jon is an engaging, funny and an excellent teacher. A big thank you to both him, the trainers and Anne for making this course a great experience! My fellow Americans and other native speakers! Get out of your comfort zone and challenge yourself. Take this course to get a solid grounding in English grammar teaching techniques and exposure to students with varying needs. My sincerest thanks to Jonathan and the rest of the staff for being supportive and accommodating! Update Spring 2015: I’ve managed to balance teaching and exporing Korea a bit – I would definitely recommend Korea to TEFL graduates who aren’t sure where to teach! Thanks again for all your help! Intensive and stressful but an incredibly high-quality course. I feel confident now that I will make a good TEFL teacher. Thank you. I had to go back home and have been working at a UK language school since November, and it is astounding how much my teaching has improved since the TEFL course. You sure did give me the tools to build with! I am just feeling thankful for the great opportunities I have at the minute and thought I would share it with you as I am thinking of going to teach in South Korea at the end of the year. If I could relive my TEFL experience with you I would (those conditional tenses are everywhere!) – it was an amazing experience! Very intense course but also very enjoyable and informative. This is a well structured course. It combines excellent modelling of TEFL teaching with useful and well supported training for the full range of TEFL job opportunities. Everyone has been really friendly and helpful. Toulouse is a great city and I am glad I did the TESOL course! This course is fantastic. It is really intense but it is worth it. They provide you with great experience to practice your skills. I would recommend this course to anyone who wants to learn the fundamentals of TEFL teaching. You gain so much more than just doing an online course! This is a fun, dynamic and useful course. You learn invaluable skills which you can use in your own personal style. Having completed the course I feel prepared to teach in a range of situations. Thank you TEFL Toulouse! This TEFL course in France is not only an extremely enriching experience, but also great fun! It’s a perfect confidence booster and makes learning grammar a game! I’ve loved the last 4 weeks. I learned so much about teaching! Giving 6 lessons to French people was absolutely priceless! The staff is fabulous and helpful. I would recomend this TEFL certification course for those willing to work hard. I have really enjoyed the TEFL course, and have met some wonderful people in a lovely city. I would definitely recommend the course to people who would like to spend some time abroad. I can’t praise Jonathan and the TEFL team enough for their professionalism and their honest dedication to good teaching practice. It can be hard work but the training was invaluable, as well as being a fun, enriching experience. We were encouraged to get out of our comfort zones and open ourselves to new experiences, both as students and as teachers, and during the four weeks we learned all the essential techniques to teach English. I was unsure about my chances of finding work after the training finished, because of my age and my inexperience, but I’ve spent the last 18 months working full-time in and around Toulouse. From working with universities, businesses and government offices to private students young and old, in every class I’ve used something that Jonathan told us. TEFL really gives you the tools to teach whoever and wherever you want – it’s taking me to Buenos Aires next! I’m just writing to tell you that I am very happy to have signed a CDI contract with ( ) language school! I have joined the TEFL Toulouse ex-illumni of Jessica, Ewelina, and Nicola! For the moment I have an 18 hour week which I’ve been told will grow once I’m settled in. Jonathan, you were right about having a car being a bonus too, teachers with them are a rare commodity! Yesterday I was sent out to Reynerie to teach three classes for a logistics firm! One elementary class of two, one intermediate of three, and a one-to-one with a big manager. They were all really nice, and that will hold me down until at least June! This week, I have three classes at ( ), and on Friday I’m off to Colomiers. There’s talk of further work in Blagnac, which would obviously be perfect for me, so fingers crossed. Thank you both so so much for everything you’ve done. I don’t think I would have had the confidence to be teaching without your very kind support. I will keep you posted on how everything goes! It was an intense 4 weeks but really good fun. I learned a lot and felt confident putting it into practice. Enjoyed it! Best learning experience ever! Intense, but so much fun. The TEFL course was a great combination of concentrated work and good fun. Expectations were high but so was the team spirit. I got my first job offer the same day as my certificate! This TEFL course was an amazingly rich experience! This course is intensive and rewarding. My ability to teach has increased so much in the 4 weeks. No longer will I be sinking or swimming in the workplace and I am equipped with the tools that set quality TEFL teachers apart from the pack! I did the TESOL course 2 months ago, loved (mostly!!) every minute of it, and now I’ve got more teaching work in Toulouse than I can handle! TEFL TOULOUSE is a really great experience! The atmosphere is friendly and relaxed, and all the staff are very helpful and kind. Whether you know you want to be a teacher or not, this course is definitely worthwhile! If you are thinking of teaching English, I would highly recommend this course. It’s intense but after I completed it I felt so much more confident and prepared to teach. I really enjoyed the course – found it very useful and very well organised. I highly recommend it! I am 52 and had my doubts, but the teaching was brilliant and now I am thrilled! TEFL TOULOUSE is invaluable. I learnt more in a month than I did teaching for a year! After TEFL TOULOUSE I feel like I can enter any classroom and deliver a lesson successfully. This course has definitely prepared me to teach at any level, anywhere in the world. The course was a lot of fun – classmates are now good friends and we all made friends with the French students we taught too. The course is very thorough – hard work but worth it. I’m excited to start working! Hi Jonathan! ……I got a job teaching ESL at Kaplan International Colleges (KIC) at Northeastern University in Boston MA, USA. I’ve been teaching there for a little over a month now…… I’d be happy to talk to students about it especially any Americans curious about the experience at TEFL TOULOUSE. Hope that all is well – I miss that beautiful city all the time! Great people, very professional a real life experience. The quality of teaching was very high. I learnt extraordinary techniques on how to teach English- where the students are engaged and are doing activities during the whole lesson. Im very enthusiastic and I recommend it! I have really enjoyed the course. The support and guidance throughout has been second to none. It is probably the most rewarding and intensive course I have ever done. I feel that it has definitely helped to prepare me to get out there and hopefully become a great teacher! I came here thinking that gaining the TEFL certificate was just a hoop I had to jump through to work here in France. I am now leaving the course having learnt so much. Thank you. I would say I had a wonderful experience – would highly recommend it to anyone who wants to learn to teach English. The teaching practice was so helpful and the students, trainers and “guinea pig” French students were great! And I LOVE Toulouse! The course was great and provided all the tools a teacher will need to move into a TEFL career. I can’t believe the amount of input we learnt in one month The 6 hours of teaching practice is definitely the high point of this course. I couldn’t be happier with the decision I made to do the course at tefltoulouse. I learned so much and enjoyed the whole course. The trainers are so helpful too. I recently taught English at a summer school for 10 -15 year olds in England shortly after completing my TEFL Toulouse course. The course was invaluable and prepared me well for this experience. Jonathan is extremely knowledgeable about young learners and I was able to use a variety of games, approaches and techniques learnt during the course to good effect. Having said this, the course is thorough in all respects and I would have no hesitation in recommending it to potential English teachers. On one of my first lessons teaching pre teen kids, I’d prepared my lesson plans for the week, but was completely unprepared for the handling of a (small) class of children. So most of Day One was spent saying “SShhhhhh. Listen. SSssshhhhhhh. Ecoute. SSSShhhhh”, and talking in a loud voice trying to catch their attention. Reviewed the notes on Classroom management that evening and returned Day two with a list of house rules that were put on the board and kept there for the week. #1 being lift your hand if you wish to speak. The volume of noise reduced to a quarter and with a change in my determination, the class became manageable…so I felt much more able to cope just as a result of re-reading the notes/photocopies and re-thinking the lesson management. So thank you for the Classroom Management for Young Learners session! As a non-native speaker I was stressed before the course – will I be judged on my accent or random errors? Nothing like that ever happened. All the trainees were treated equally, and guided when we needed improvement. The atmosphere was very respectful, inviting lots of creativity, and it encouraged all of us to work hard on getting our qualification. Thanks! The course is great as it covers everything you need to be a TEFL teacher. I felt the observed teaching practice was particularly useful and very rewarding! I’d highly recommend TEFL TOULOUSE to anyone wanting to become an English teacher and this qualification opens up so many opportunities! Although the course is extremely intensive, it is very rewarding and well worth the effort. Jonathan and all the other trainers give trainees fantastic support and encouragement. An amazing experience!! An intensive, exhausting, gratifying and confidence-building course. I feel like I began knowing nothing about how to teach, and left feeling confident and prepared to start my new career as an English language teacher. I would thoroughly recommend this course to anyone wishing to become a TEFL teacher. The course is really intensive, but Jonathan and Vali are great teachers and really supportive, which makes the whole experience really enjoyable. I would definitely recommend the course. The staff / course trainers are brilliant – friendly, helpful and taught us exactly what we needed to know. To anyone interested in teaching, in language or in travelling, I will recommend this course with a resounding “Go for it!” Every hour was well spent, with a good balance of grammar and practical teaching techniqes. Jon and Vali gave their full attention and enthusiasm to each session, maintaining a high level of professionalism, a lively classroom environment and a good dose of humour. I would highly recommend doing the course at TEFL TOULOUSE. Both Jon and Vali have extensive knowledge and experience, and teach the course in an engaging way, an in a convivial and encouraging environment. I am amazed at how much you can learn in 4 short weeks. You come out at the end with all the tools needed to start your English teaching career. I never knew that before I could teach English I would first have to learn it! Jonathan and Vali have been a fantastic guide through the labyrinth of English grammar and pronunciation. Many thanks for a great month! I would most definitely recommend this TEFL course. The course is designed to be supportive throughout and really develops one’s ability to teach. The focus is genuinely on how to improve, not just on ‘what was bad or wrong’. At the end of the 4 weeks at TEFL TOULOUSE I feel like I have learned a year’s worth of information. Deciding to do this course was one of the best decisions I have ever made! TEFL TOULOUSE has exceeded my expectations in every way, so I give this course my highest recommendation. It’s definitely worth the time and the money. Jonathan Davies, the Director of this course, is extremely knowledgeable and professional. I have learned more in this month than I could ever have expected. The course is very comprehensive. The hands-on teaching practice was a really great experience especially with the feedback and self critiquing sessions . Jonathan and Vali are extremely supportive and really prepare you to enter a classroom and teach. Overall , a very worthwhile experience.